I really did not want to comment on the bendgate and gapgate nightmares for both Apple and Samsung respectively, but our readers want us to write a commentary, not on bendgate, but on gapgate. 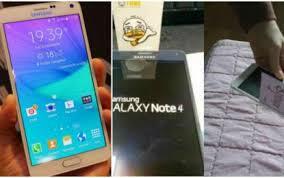 The concerned readers opine that we at Kachwanya.com are pro Samsung and have nothing good to say about iPhone. This is despite the fact that we wrote a very positive review of the Apple Watch in the article, Meet Apple’s most personal device and Six features to consider by our own Winfred Kuria. Our readers who accuse us of being pro Samsung and thus anti Apple cite the articles such as – A critical look at iPhone 6 in relation to 10 key smartphone features, iPhone 6 plus is slightly below Samsung Galaxy Note 3 for Apple 2014 phones and The killer feature in Samsung Galaxy Note 4 is the screen and Samsung Galaxy Note Edge is set to bring back class and status for the Samsung’s late 2014 phones as evidence. Our readers, just as they didn’t notice the good review we had for Apple Watch, also didn’t notice the negative review we had for Samsung Galaxy S5 in the article Should you buy Samsung Galaxy S5? We have also criticized Samsung’s customer care before in the article, Is Samsung customer care this pathetic? I hope those two paragraphs set the record straight that we at Kachwanya.com are not biased against any phone manufacturer or against any ICT player locally or internationally. Having said that, what is our stand on bendgate and gapgate questions? Let’s start by bendgate. 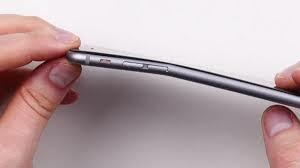 According to the first reports, people experienced bendgate with iPhone 6 plus after they put the phablet in their back pockets and probably sat on them. Are they mad? Imagine yourself putting a touch screen phone in your back pocket. Then a few minutes or hours later you find yourself seated on one of those concrete or hard metal benches by kanjo. If your phone bends or breaks, do you blame yourself or the phone manufacturer? By the way, if you sit on a concrete bench with your touch screen phone by Apple or Samsung, do you think the screen should bend or break? Now imagine yourself having your touch screen phone in your back pocket, but instead of sitting on a concrete or hard metal bench, this time you are seated on a soft couch or bus seat. What do you think should happen to the phone? Bend? Break? I have severally sat on my Samsung Galaxy S3 in a bus, not because it was in the back pocket, but because it slipped out of the pocket to the seat – I only realize that I sat on it when I am to alight. Early last month the same thing happened to me with Nokia Lumia 930. I probably had sat on it throughout the journey from town to Umoja. The fact that items in my pocket have a tendency of slipping out to end up being sat on can be attested by the article Safaricom should help me get back my lost ID. Even after sitting on my Samsung Galaxy S3 severally in a mat (mats have slightly hard seats) the phone has remained intact since August 2012; the screen is still intact (no breakage) and there is no sign of any bend whatsoever. The Nokia Lumia 930 that is hardly a month old is still as good as new. I would therefore expect that if someone sits on a phone but not on so hard a surface as a hard a concrete, metal or wooden bench, then the phone should not break or bend; otherwise the phone is of poor quality. Verdict: iPhone 6 Plus is too thin thus is prone to bend under slight pressure. Avoid it as much as you can. My problems with the gaps are two fold: one, phones do catch a lot of dirt from the environment and from the user. Once every now and then the phone would need cleaning and the gap will make cleaning the device rather difficult. Secondly, Samsung Galaxy Note 4 isn’t said to be water resistant as Samsung Galaxy S5 or even water proof as Sony Xperia Z2 and beyond. What would happen if water spills on the device and get logged into the gap? The S3 I have, though not water resistant, has had a number of water spill but hasn’t succumbed because there is hardly any vent that allows water to get into the phone. 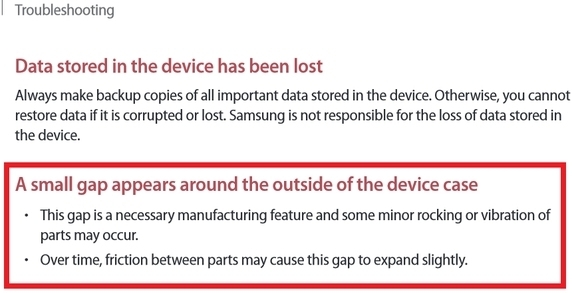 Verdict: Samsung Galaxy Note 4 is designed to have a gap and most probably this gap won’t affect its usability under humid conditions. I would advice that local buyers to wait until first users have provided adequate feedback on any effects the gap might have on the phone in terms of ease of cleaning and water problems. This bendgate and bendgate problems can be said to be a serious problem; and a let’s wait and see problem respectively. For Apple, the problem seems to be the too thin iPhone 6 plus for its size. For the gapgate issue, it has been argued that the metal frame and glass protective cover is difficult to merge (although Nokia pulled it off in Nokia Lumia 930). There are a few commenters in the www who say that iPhone devices too have gaps given the difficulty of wrapping glass over metal.